This is part one in our series about implementing safe, cost-effective spill solutions. It’s a sunny Monday afternoon at your site, and a delivery has just arrived. A sorry-sounding ute that has definitely seen better days splutters into the carpark. You and your team quickly unload a pallet from the ute’s tray, sign off on the delivery and watch the delivery man pull out of the carpark. Then you notice that in the delivery bay there is now a big puddle of motor oil. But it’s no trouble, because there’s a procedure for this: get one of the guys to grab a 20-kilo bag of kitty litter to absorb the oil. But when you try to brush the kitty litter into the spill with a broom, it’s clear that it isn’t doing a great job. 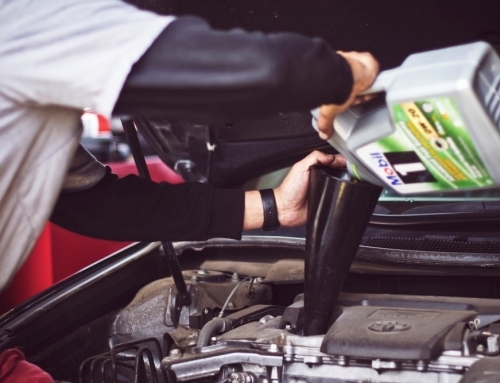 Using clay absorbents like kitty litter means you end up just smearing the motor oil around – rather than cleaning it up. You have to use a huge amount of product, and even when you have cleaned up most of the actual spill, there is a big oily patch of residue left behind. 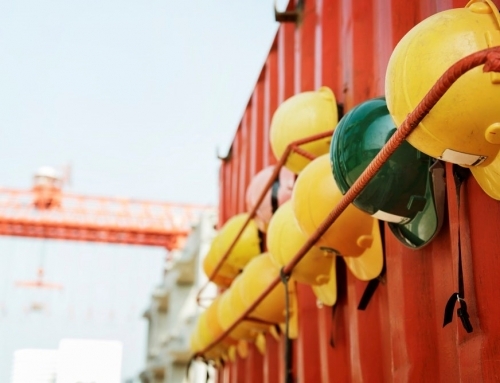 This process is repeated time and time again across workshops and warehouses across Australia. But if you persist with handling your spills this way, it may cost you a lot more than a clean delivery bay, and in ways that you probably have never even thought of. Clay spill absorbent — i.e. kitty litter — is far and away the most commonly used absorbent, due to its conveniently low price and ease of purchase. However it does have many drawbacks, the most significant being it doesn’t actually clean up spills effectively. Firstly, kitty litter does not actually absorb liquid. Instead, the liquid only coats the outside of the clay granules – meaning they drip, leak and leave a residue. Secondly, its poor absorbency means that you require large quantities for effective use. These large quantities are then disposed of in landfill where they take years to break down. So, what are the real consequences and costs of skimping on spill solutions? Businesses that don’t completely clean spills end up paying dearly. 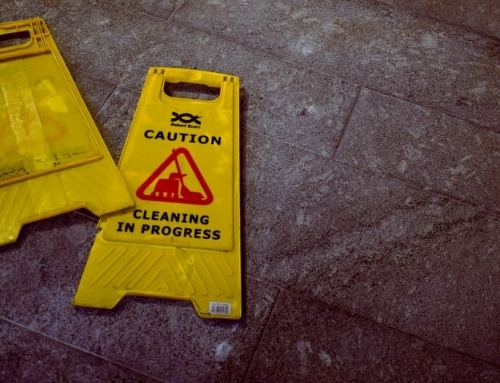 Slips and falls mean the injury of a co-worker, colleague or friend, so cleaning spills effectively is part of maintaining a safe workplace. Residual oil, detergent or grease on a floor represent a slipping hazard. And kitty litter or other cheap spill solutions frequently leave you at risk due to residual spill left on surface. And I don’t have to explain to you the consequences you’ll face if employees end up seriously injuring themselves on the job. Between 2003 and 2015, 23% of total slips, trips and falls resulted in serious legal claims within Australia. These claims can be financially crippling for businesses – yet can be easily prevented with a good spill absorbent. A safe workplace is essential for any business – could insufficient spill absorbents be placing undue safety risks on your organisation? By sticking with the cheapest option and using conventional kitty litter, your business may be inadvertently damaging the environment. This can have serious legal and consumer consequences. You may be dumping huge amounts of cheaper spill solutions in landfills. Not only will you be driving up massive disposal costs, but you will also be contributing to environmental damage by adding to landfills. And if the residual oil, detergent or grease (that the kitty litter didn’t effectively clean up) washes into a stormwater drain, you could face serious fines. A company in Sunshine West in Victoria was fined $7,773 last year for failing to stop an oil spill from entering stormwater drains. 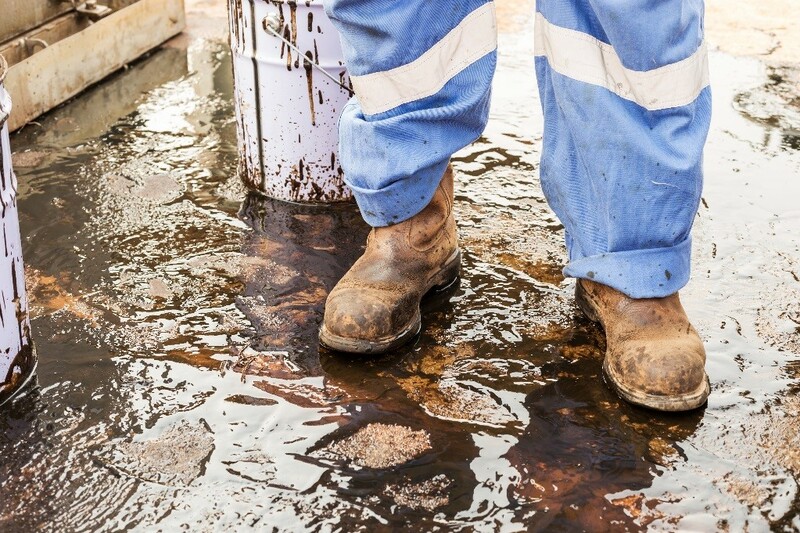 Is your business vulnerable to environmental penalties due to partially cleaned oil spills? Cheap products may save your business at the purchasing stage. But with an ineffective product, usage costs will be sky high. A sack of kitty litter is likely going to take a long time to clean up a spill. So any saving you might have initially made in the purchase of a cheap absorbent is going to be lost in the man-hours spent scrubbing the bristles out of a broom. You might also find that you will be running up your material costs in the process too. You’ll probably have to replace that broom pretty quickly – or any other cleaning product subjected to a serious scouring to remove any left-over oil not picked up by a small mountain of kitty litter. And then, of course, there are the storage costs. If you are using a small mountain of kitty litter, your logistical costs will likely increase. Storage and delivery costs are all amplified if you are using a higher quantity of absorbents. You need a product that is not just inexpensive but also cost-effective. It needs to be affordable – not just in an economic sense, but in environmental and safety terms too. Effective – a true absorbent that completely removes any trace of the spill to avoid runoff into stormwater drains and to prevent slipping. Efficient – so that you don’t have to waste hours on clean-up and use large quantities to clean spills. Environmentally friendly – biodegradable, non-flammable and vapour-reducing to ensure that you aren’t damaging the environment or violating environmental protection laws. 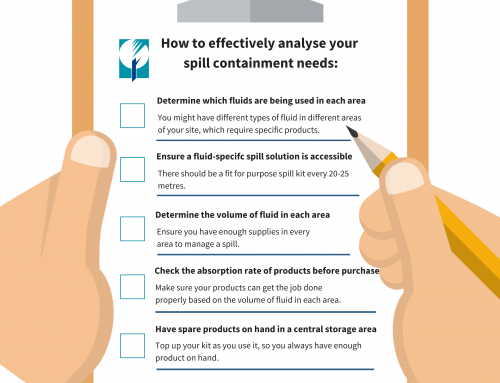 Can your business afford a spill solution that doesn’t tick all of these boxes? If your current spill solution provides you with anything less, you need Kleen Sweep. Don’t have time to waste cleaning up oil spills with ineffective alternatives? Need to avoid the hidden costs that come with kitty litter and other cheap-and-nasty spill solutions? Want the best and most cost-effective spill solution on the market? 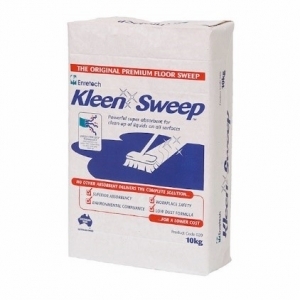 Find out the other ways that Kleensweep can help your business or call +61 2 4869 3261 to find your nearest distributor.